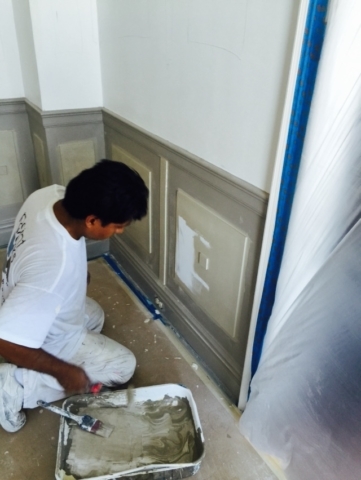 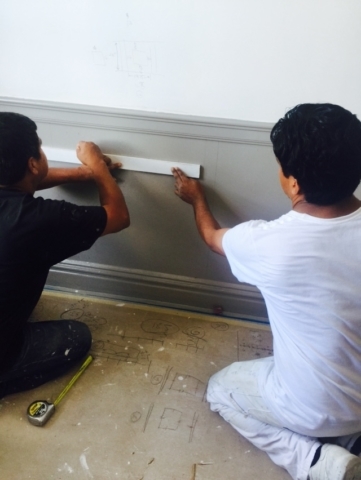 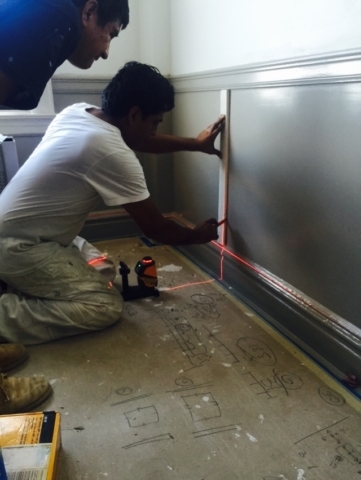 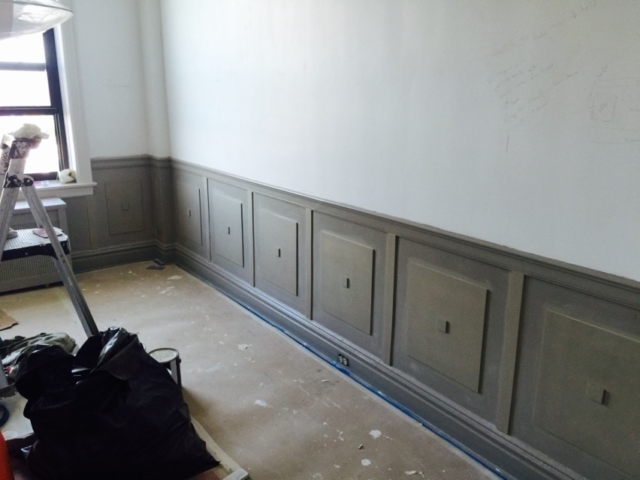 This faux wainscoting was part of a larger pre war apartment restoration project we worked on during Summer 2016. 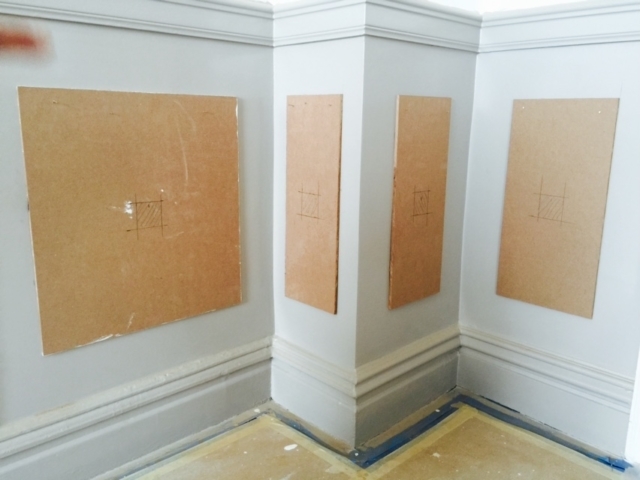 The panels were built using MDF panels cut down onsite and laid out with the input of the interior designer. Check out the gallery linked here for some shots of the finished project.